Many homeowners are choosing to upgrade their roof’s features with high quality uPVC roofline products, enjoying multiple benefits such as increased weather resistance, low maintenance requirements and customised aesthetics for a more attractive look. If you’re looking for the best replacement fascias and soffits, you may have come across several brands worth considering. Three of the best are Deceuninck, Swish and Deeplas, but which one should you choose? Here’s our comparison of these three top roofline manufacturers. Deceuninck specialises in PVC products for use in an array of places from windows and doors to roofline features such as fascias and soffits. Well established in Europe and active in 75 countries across the globe, they put a real emphasis on building sustainable homes to reduce your ecological footprint. 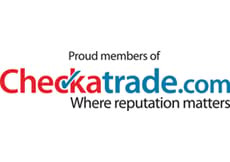 This means their uPVC roofline products deliver benefits such as higher insulating values, elegant designs for aesthetical appeal and products which don’t require a lot of upkeep, recommending a simple wipe down with water and cleaning agent to maintain their look. To contribute to a sustainable home, they report their products have a predicted service life of at least 50 years and can be reused or recycled when they need replacing. They have a range of colours and profiles to choose from, including white and coloured finishes. Swish is one of the UK’s leading manufacturers of PVC products such as cladding and rooflines, designed with insulation in mind. As a manufacturer of plastic products, they take their environmental responsibilities seriously, having a policy in place to ensure waste is kept to a minimum with a product lifespan projection of over 60 years in many cases. 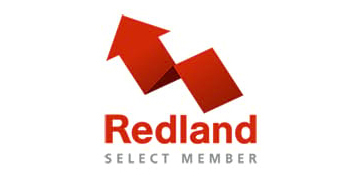 They market their products to both newbuilds and properties undergoing refurbishments. They use cellular PVC to produce strong but lightweight fascias and soffits that won’t crack, peel, flake or warp. Their products are recommended for replacing low-grade soft timber rooflines in much need of an upgrade. Like Deceuninck, they also have a range of profiles and also include decorative options. See a recent case study where we installed new uPVC fascia and soffits in Banstead. Deeplas are a UK manufacturer with a focus on quality when it comes to rooflines, using their calcium organic, dense PVC-U to provide premium materials. The heavier products produced aim to retain their shape for longer with sharp 90 degree angles produced at all edges. 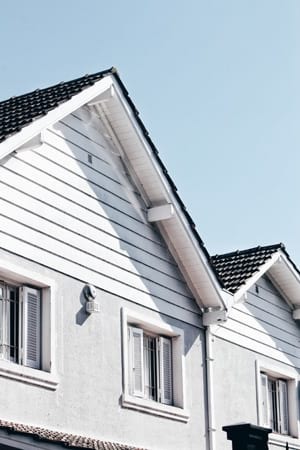 Their fascias and soffits are available in a selection of colours and wood grain finishes (such as mahogany and golden oak) and in profiles such as square edge, ogee and bullnose. 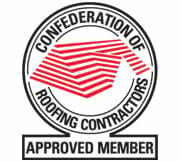 They offer guarantees against cracking, warping, discolouration and corrosion, ensuring you have a roofline which lasts. Here at Collier Roofing, we provide specialist services for fascias and soffits, as well as other uPVC roofline products. With access to some of the best brands in the industry, we’re happy to talk you through your options based on your needs and the look and function you want for your home’s roof. We work across London, Surrey and surrounding areas, including Coulsdon, Kenley and Merstham. Contact us now for free information and advice.